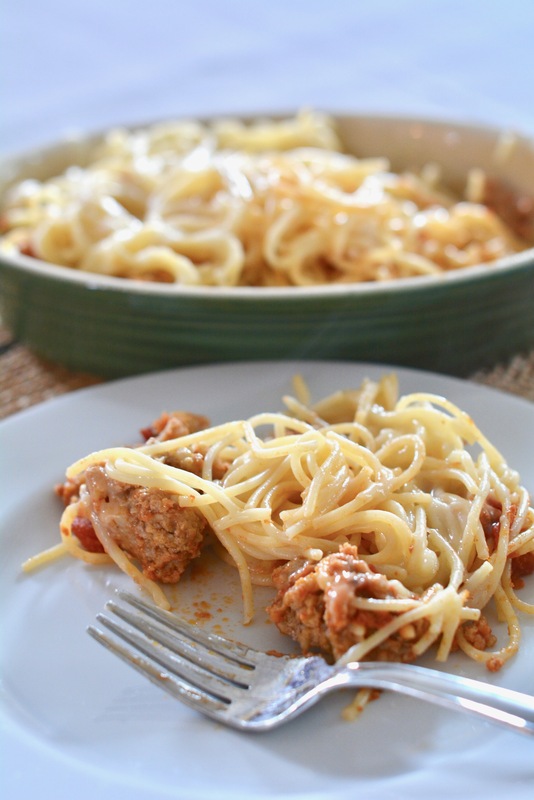 Spaghetti and meatballs is a classic in our house but I’ll confess, sometimes I just want a little change from the classic. Naturally, my kids aren’t at all interested in a big change from their favourite so we compromise and I make cheesy baked spaghetti. It is easier than lasagna and a nice change from noodles with sauce so everybody wins. 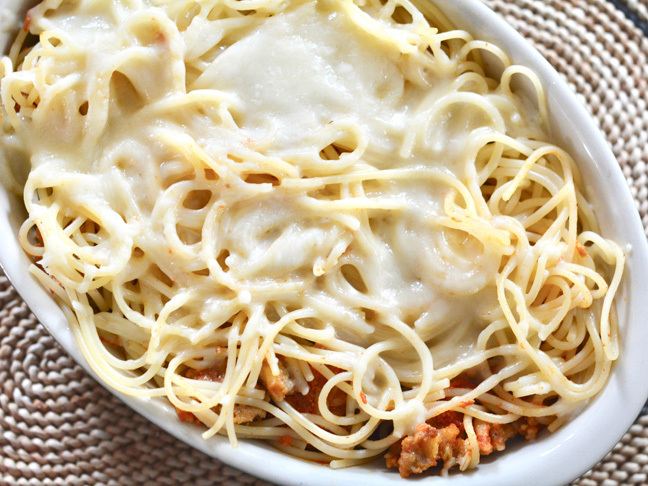 Cheesy baked spaghetti features lean minced beef, noodles, sauce, and a delicious topping of mozzarella cheese. You can’t beat the flavors and it is as simple as pie to make! Step 1: Heat the oven to80 degrees C. Spray a 9x9 glass pan and set aside.